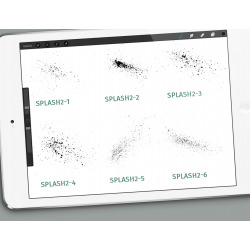 Now we go into the second round with the Splash Textures for the Procreate App. 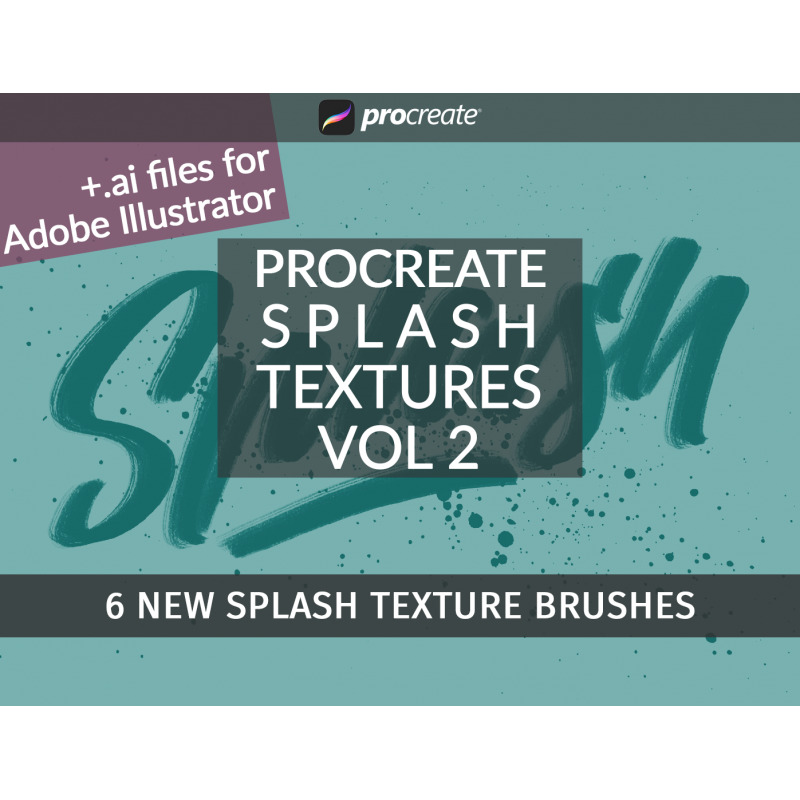 Due to the great success of the first splash brushpack I decided to create Vol 2 of some nice splash brushes. So here it is!!! These fancy brushes will create you a texture effect, based on some watercolor splashes which I scanned in high-res. You can texture your background or give your handletterings some very cool effects in the procreate app. 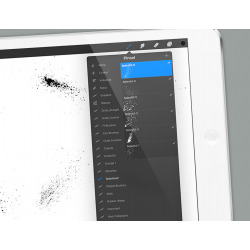 You can control the size of these brushes with the size controller of the brush. With this download you get a .zip file. 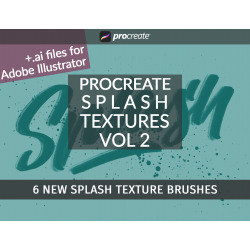 In the decompressed folder there are 6 brushes for procreate and a short description for installation. I also packed the .ai file with the textures for Illustrator or Photoshop into the package. Attention: This brushes work only with the Procreate App.